If you are an internet service provider taking advantage of the Digital Millennium Copyright Act safe harbor, you have until December 31, 2017 to re-register your designated DMCA agent. As David Tollen reported back in 2016, the Library of Congress has changed the rules for designating an agent to receive “takedown” notices from disgruntled copyright holders. Since last year, service providers registering a new designated agent had to use the new online designation system. Service providers who had already registered an agent using the old paper designation system could rely on that registration during a transition period running through the end of 2017. If you need to re-register and have not already done so, the time is now. You know who you are. Without a designated agent, and compliance with the DMCA’s other requirements, service providers face possible copyright liability for infringing material posted at their sites by customers or other users. So you definitely want to comply. The good news is that compliance is pretty cheap and pretty easy. It now costs $6 to register or re-register a designated agent through the online system. The U.S. 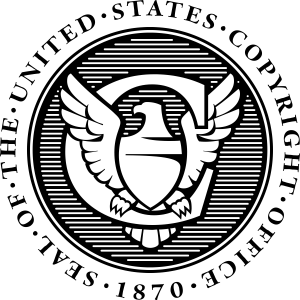 Copyright Office provides a link to the online registration system, plus plenty of DMCA background, details about the registration process and FAQs, at www.copyright.gov/dmca-directory. You can do this yourself! There are also third-party outfits to guide you through the process and serve as your designated agent, for a fee. Deborah Pulido is an experienced business and transactional attorney, serving as Of Counsel with Sycamore Legal, P.C. in San Francisco. She focuses on technology contracts and intellectual property counseling and licensing, as well as on growing her clients’ businesses. In particular, she negotiates technology and trademark licenses, media rights agreements, supply, distribution and services agreements, and joint venture transactions. © 2017 by Sycamore Legal, P.C. All rights reserved.